Some of us dream that we can fly. Some of us dream that we’re swimming in an endless ocean. Some of us dream we’re in high school again and can’t remember the combination to our locker or how to get to seventh period math class. 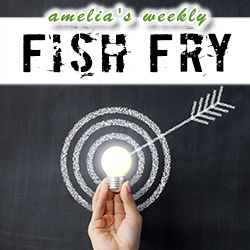 In this week’s episode of Fish Fry, we’re talking about how we can make our silicon dreams into semiconductor reality. Taher Madraswala (CEO and President, Open-Silicon) joins Fish Fry to discuss how Open-Silicon is helping engineers realize their dreams and translate those ideas into silicon. Taher and I also chat about the trends and challenges facing the semiconductor industry today and the new developments that Open-Silicon is working to create custom SoCs for high bandwidth memory applications.